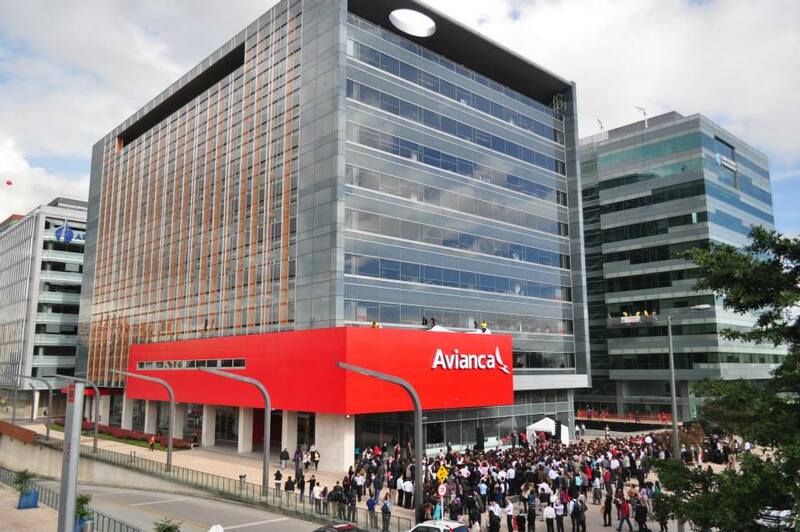 Avianca, one of South America’s largest airlines with roughly 70 aircraft and over 90 on order have finally announced their new brand, encompassing both TACA and Avianca’s two separate brands into one unified airline. Gone is the iconic red-topped aircraft of old, and instead a modern new minimalist approach has been taken to the livery. As announced recently, our feelings behind the new look are a little mixed. We had hoped that some of the elements of the traditional ‘FutureBrand’ carrier image would have stayed. However, what can’t be denied is that this is a full and comprehensive redesign. It sits well as the calling card for a ‘Modern’ South America to the rest of the world, and the design is clean and well considered. The tail-fin (now with a subtle gradient in the colouring) is actually fairly elegant device, although not as powerful as the previous brand image. If this design was launched for an airline that was brand new, it would be received differently by public opinion, but sadly, as general consensus had such an appreciation for the old livery, this one has to work hard to beat it. Whilst we like it, for more stubborn fans it may be a livery that grows. The branding sits well inside the new cabins too, Deep charcoal greys, against a white palette with bright flushes of red is contemporary, robust and won’t age quickly. 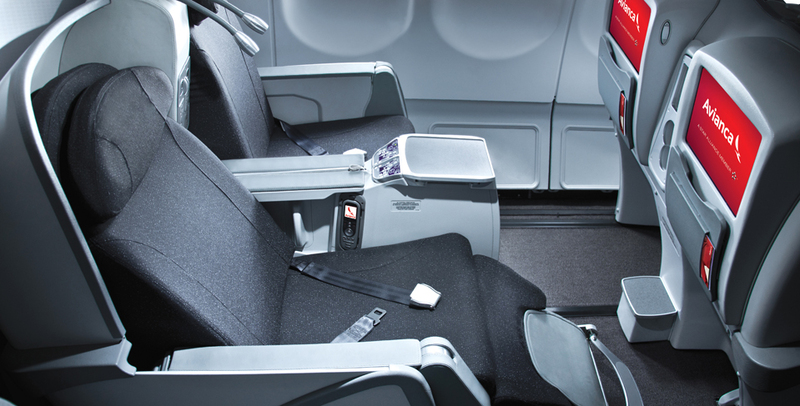 The cabins, both economy and business now have the appearance of being a truly international carrier (although the angle lie-flat seats are still seen as an inferior business class product internationally). Also announced at the grand unveiling, were the well executed uniforms (bar a few exceptions) The ruana roja (cape) and hat remain from the previous incarnation, but have been modernised to fit with the new look. “It was important to create a new visual identity that was reflective of the heritage and legacy of both Avianca and TACA but also ushered the brand into its new era of Latin Excellence,” said to Rodney Abbot, Sr. Partner at Lippincott. “We wanted the new identity to build on the symbolic power of the Condor, a symbol long associated with Avianca in a form that figuratively links South, Central and North America.” It can’t be ignored that the Condor logo still has an unfortunate similarity to that of American Airline’s new look. Whilst perhaps a little more elegant in execution, the two brands American and Avianca accidentally give the appearance of being sister companies. Whilst American is currently struggling to reinforce a sense of permanence regarding its new look since its recent merger with US Airways, (who have worked in reverse from the logical way of working) Avianca have actually worked to combine two brands and unify the messages of both airlines over a 3 year process and this new Avianca look certainly does have the brand reasoning to stay for years to come. For the millionth time on this site. THERE IS NOTHING WRONG WITH AMERICAN’s NEW LIVERY. it much better than the old, unpainted, and dull livery. Even if it was very iconic. 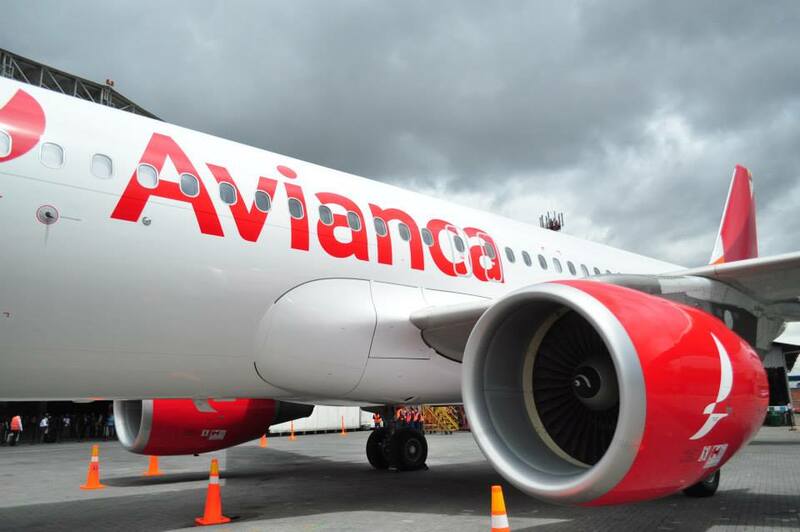 The new Avianca livery, even if its similar to American’s, won’t even hinder the experience. Don’t judge an airline by its livery.